UK-based ZincOx Resources has developed Asia's largest zinc recycling plant, using technology that recycles zinc from electric arc furnace dust that is produced when recycling galvanised steel. Chairman Andrew Woollett talks about the technology behind the plant and challenges the company has faced. It cost $110m dollars and went into production in April 2012. Andrew Woollett is formerly the founder and chairman of Reunion, a company that farmed into Anglo American's Skorpion zinc oxide deposit in Namibia in 1996. The biggest use of zinc is in galvanising, which is simply coating a thin layer of zinc on steel to stop it rusting. Korea Zinc have its biggest operations about 60km away from the site. Andrew Woollett is formerly the founder and chairman of Reunion, a company that farmed into Anglo American’s Skorpion zinc oxide deposit in Namibia in 1996. During this time Woollett and his team of zinc experts, led by Noel Masson, overcame the processing issues found with zinc oxide ores by applying solvent extraction – a technique that had never been applied to zinc before. Inspired, Woollett decided there must be other opportunities similar to this one. Once Reunion was purchased by Anglo, which went on to plough $450m into the new technology, Woollett and Masson decided to form ZincOx Resource. 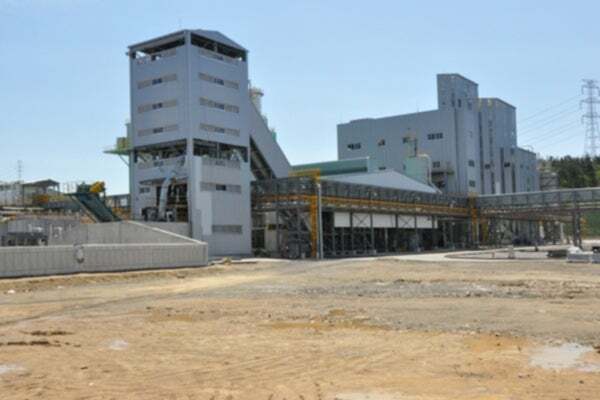 Initially a project to look for zinc oxide deposits and replicate the success of Skorpion, this ambition eventually transitioned into the building of Asia’s largest zinc recycling plant. Heidi Vella: How did ZincOx transition from looking for zinc oxide deposits to recycling zinc? Andrew Woollett: We realised there was an interesting opportunity in urban resources i.e. waste material, in electric arc furnace dust. The biggest use of zinc is in galvanising, which is simply coating a thin layer of zinc on steel to stop it rusting. About a third of the world’s steel comes from recycling and when it is recycled it is – simply speaking – re-melted and the impurities are removed and some of those impurities boil off naturally, in particular zinc, from galvanising, but you get other elements and bits of rust blown off the surface of the scrap as it is lowered in to the furnaces. "The biggest use of zinc is in galvanising, which is simply coating a thin layer of zinc on steel to stop it rusting." These metals oxidise, reacting with air above the furnaces and they can’t be allowed to go into the atmosphere – they are drawn off through a gas handling system to be filtered and that filtered material, that dust, is called electric arc furnace dust and it contains typically about 25% zinc, two percent lead and about 25% iron, with the bulk of the balance being salts and oxygen. So here was a material which was rather like a very low grade concentrate rather than ore, because ores typically run around five to six percent zinc, and this was running around 25% zinc. Zinc concentrates are around 50/55% zinc. So while it wasn’t a concentrate, it was much, much higher grade than an ore and it was being thrown away. We thought "this is crazy, why am I going to look for this stuff when someone will give it to me?" So having put together this team of guys to crack the metallurgy at Skorpion, they put their minds to cracking the metallurgy for electric arc furnace dust and six – seven years later we came up with the idea of the rotary hearth furnace, which was a fairly recently demonstrated technology for treating iron bearing wastes. But interestingly, as part of that process it drove off any zinc that was there with 95% efficiency. So I said this isn’t an iron making technology, it is a zinc recovery technology, and we started applying it to electric arc furnace dust. AW: We have built the first plant of this type in South Korea. It was $110m dollars and went into production in April last year and we had a fairly steady ramp-up up to January this year. HV: Have you faced any major challenges ramping up the plant? AW: From February onwards we have had one or two major recurring problems, which have caused us a huge amount of grief. We have a system which recovers a lot of the heat from the gasses of our furnaces. "This isn’t an iron making technology, it is a zinc recovery technology, and we started applying it to electric arc furnace dust." The gasses are highly corrosive. Due to some poor design and in some places appalling manufacturing, there were some welds that have not been done right, air has been allowed to get into the heat exchangers and our very corrosive gasses then became even more corrosive and attacked the shell of the heat exchanger, which we had to repair in several places. That caused us very poor plant availability because when you have to repair something, you have to cool the plant down and then after you repair it you have to heat it up again; that heating and cooling alone takes five days. So we lost ten days to two weeks every month from March through to August. That was one problem – the other was a problem with material building up in the furnace and not coming out properly. While that causes us a huge problem we now have learnt to control it and we are now putting in the final stages of an early warning system, so that if it does begin to build up we can spot it early and won’t have to close the furnace to fix it. HV: How much do you hope to produce at full production? AW: We should be producing about 50,000 tonnes of metal in concentrate and the concentrate has been fairly consistently running about 64% zinc, which makes it a very rich concentrate. I hope we will be at about 80/90% of full production by January or Christmas time. HV: However this isn’t patented technology is it? So someone else could replicate it? AW: It isn’t and technically they could but an awful lot of know-how has gone into it. We’ve done years of R&D in order to make it work for zinc. There are patents over the RHF and there are probably four companies around the world that can provide this basic idea and we’re working with one of these providers under their patents. Some of their work has been quite original in terms of zinc, so they have agreed not to provide it to anyone else in the zinc business. HV: At the moment you have an exclusive deal for sale of concentrate to Korea Zinc? AW: Yes that is right. Korea Zinc have their biggest operations about 60km away from our site. We reached an agreement with them for them to put up a $50m loan to us on commercial terms and in exchange we are obliged to sell them pretty much all our zinc concentrate. So far they have bought it all and they have [not] declined any. They have been very happy with the quality and they pay us the market price. There is a slight difference in price for mined and recycled zinc concentrate, because our material contains a lot of chlorides and zinc smelters don’t like chlorides, so they charge you a penalty for that. The amount of the penalty will vary from one smelter to another. HV: How is the market for zinc at the moment? AW: The market is strong underlying fundamentals but the stocks have been rising, there has been a bit too much production, and as the stocks have risen the price has tended to slip down, so it’s at a low point at the moment. We have seen stocks come down pretty consistently since the beginning of the year and if that continues and we reduce the stocks to about 800,000t, I would hope we will see the price firming up and increasing. The analysts are all forecasting a higher price next year. HV: You also make iron as a by product, what do you do with this extra commodity? AW: Ironically, the zinc grade in our feed, the waste we receive, is rather higher than expected and when it goes up iron tends to go down. Consequently, in our residual material the iron grade is lower than we expected, but this will increase as we approach full targeted recovery of zinc. So we haven’t entered into any sales contract yet. If ultimately it is too low grade for them it will be put it into a simple melter and we’ll take our product and turn that into pig iron and a slag, which we can sell to the cement industry. But I don’t really want to go to that expense if we can convince the mills to buy it as it is. HV: What are your plans going forward – do you have plans for expansion? "We should be producing about 50,000t of metal in concentrate and the concentrate has been fairly consistently running about 64% zinc." AW: We do but those are somewhat on hold. We were immediately going to expand KRP. Obviously we weren’t in the position to build Phase II as quickly as we wanted to because of the delay of the ramp up, so as we didn’t have the second plant built for the date on which we were supposed to start collection, which was in October. Consequently we announced, in September, that our agreement with the mills to take dust for the expansion have been terminated. When we have finished the ramp up of Phase I we can go back to the mills and re-engage with them to see if they would like to enter into another contract. If they don’t then we have been doing a lot of work and acquiring sites and permits in Turkey, Russia and Thailand, so we will focus our attention on one of those sites. We are currently producing two intermediate products which we are selling onto people who will make them into an industrial raw material; either a iron or zinc metal. But because of the quality of these two products they may both be upgraded, which would allow us to realise considerable added value. In the case of zinc we can upgrade it to an industrial quality oxide, which will roughly double our revenue for a relatively small cost. So a huge upside for the zinc side value. We have done laboratory scale test work on this process, but more piloting will be required in order to fully demonstrate it. It remains, however, a very exciting option. Europe’s mining industry is undergoing a revival as companies look for a safer investment. Northern College in the busy mining province of Ontario, Canada, has teamed up with the local Confederation College to deliver its century-old international mining course to more students.